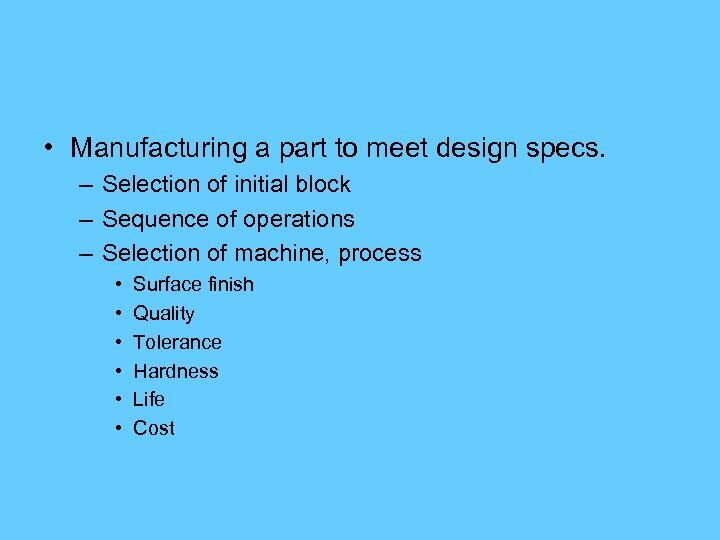 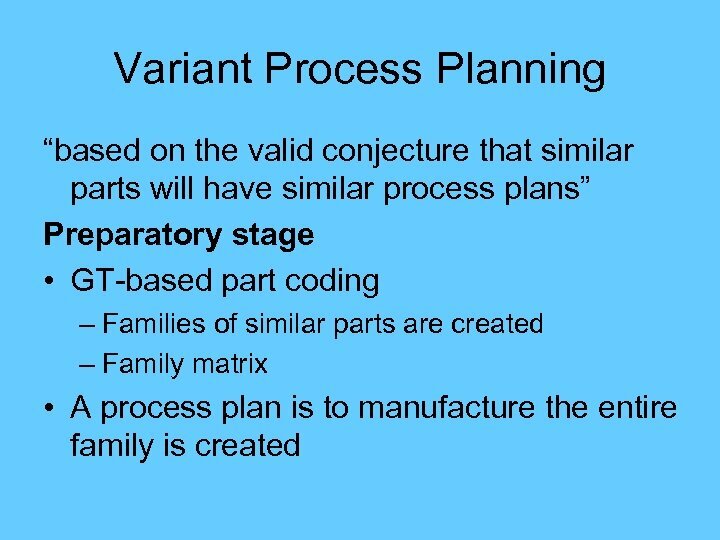 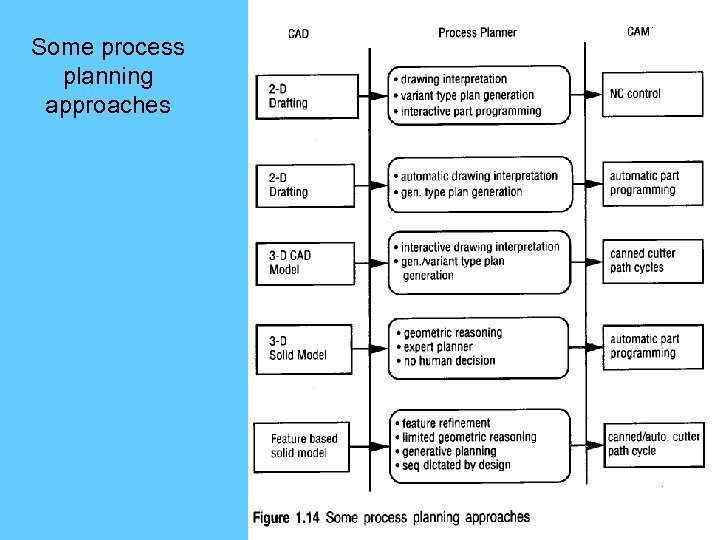 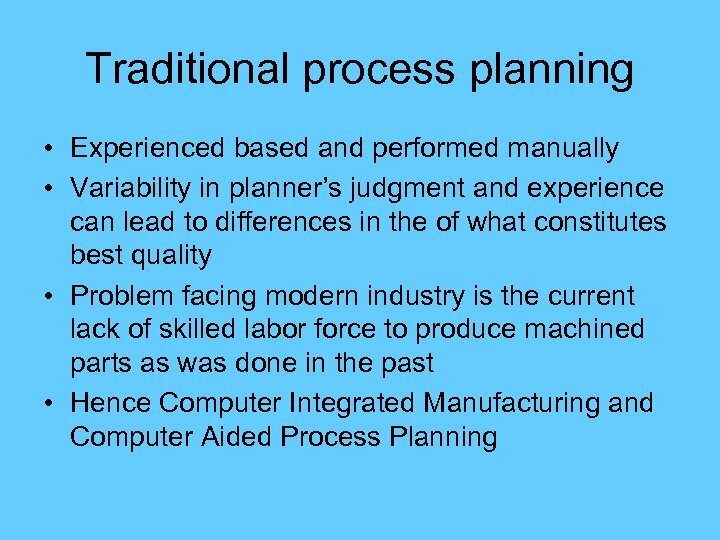 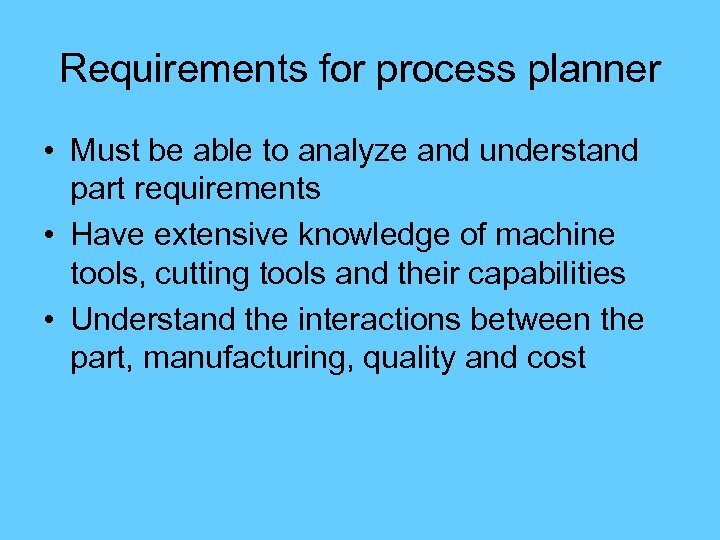 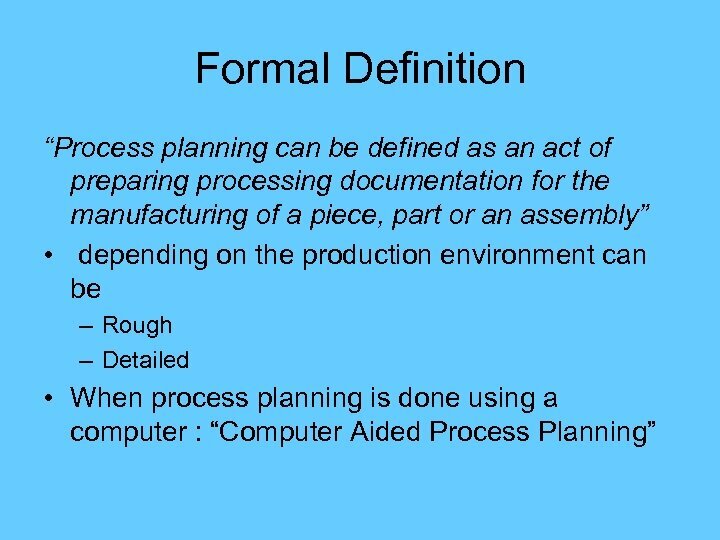 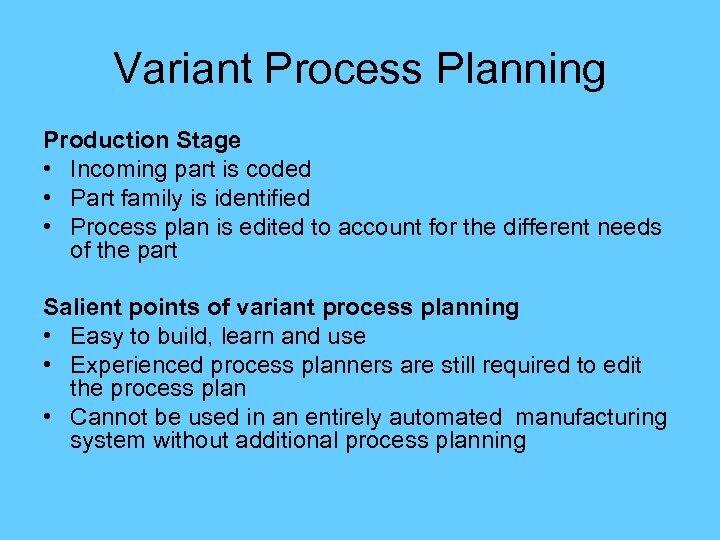 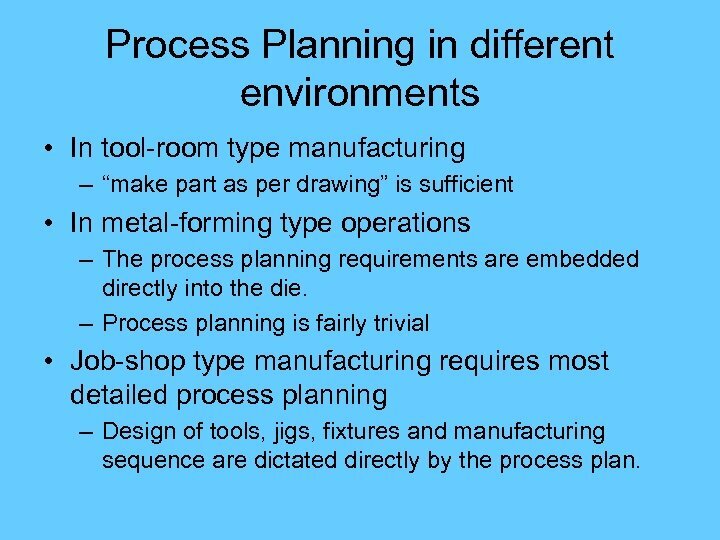 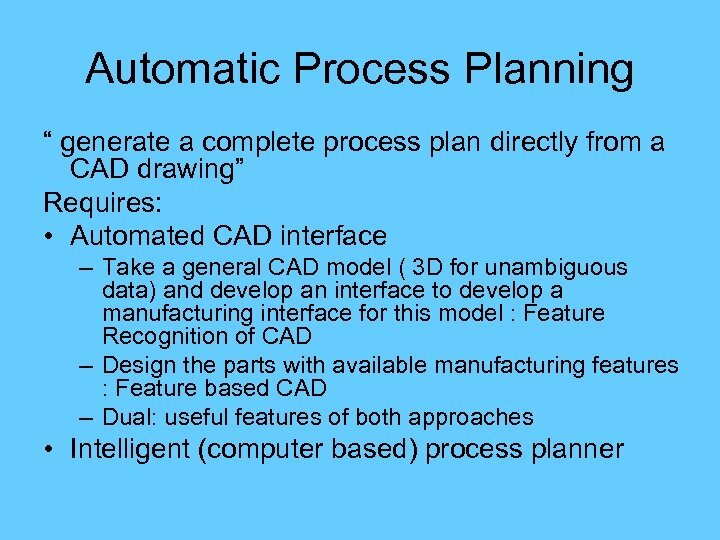 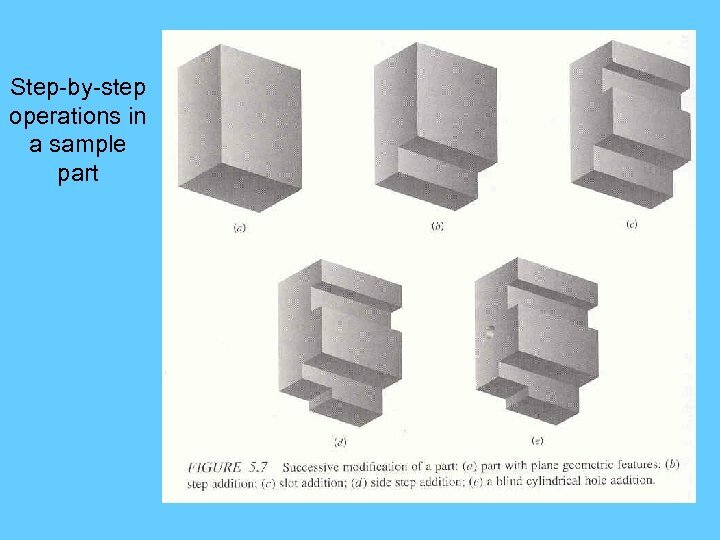 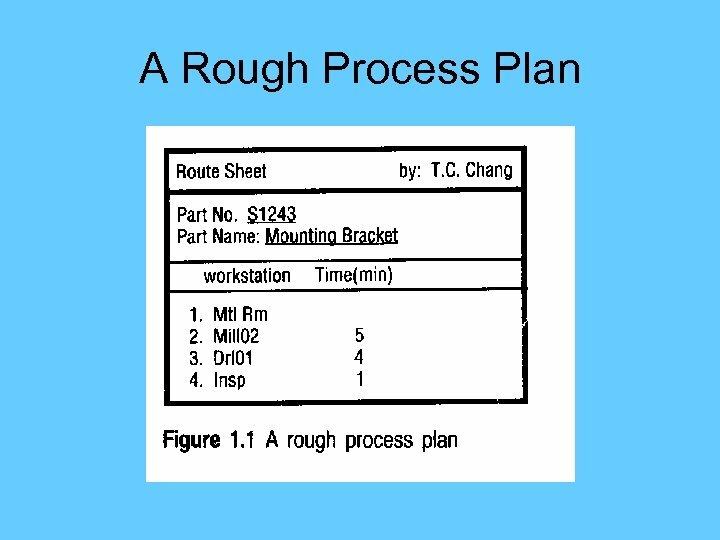 Process Planning in different environments • In tool-room type manufacturing – “make part as per drawing” is sufficient • In metal-forming type operations – The process planning requirements are embedded directly into the die. 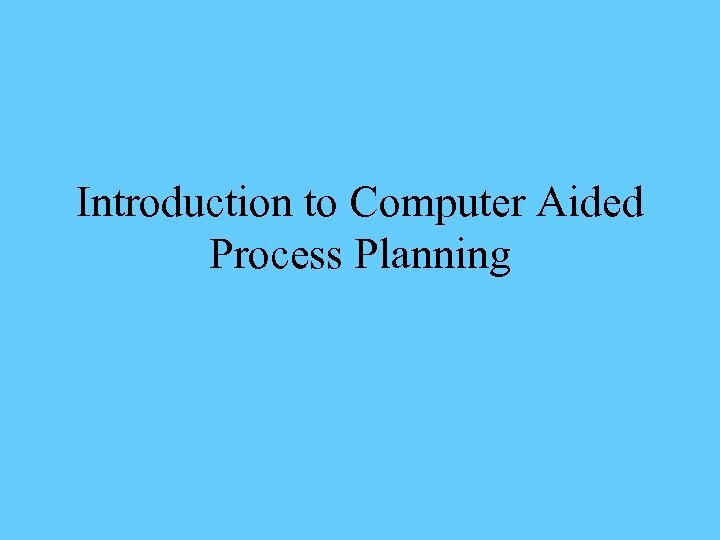 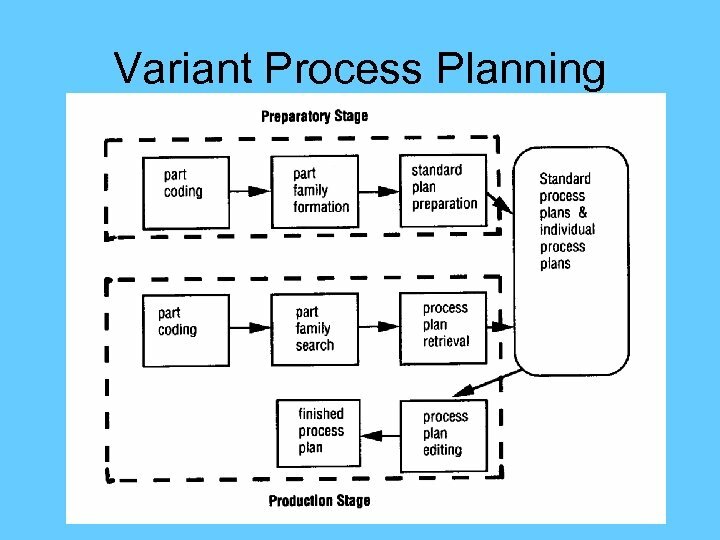 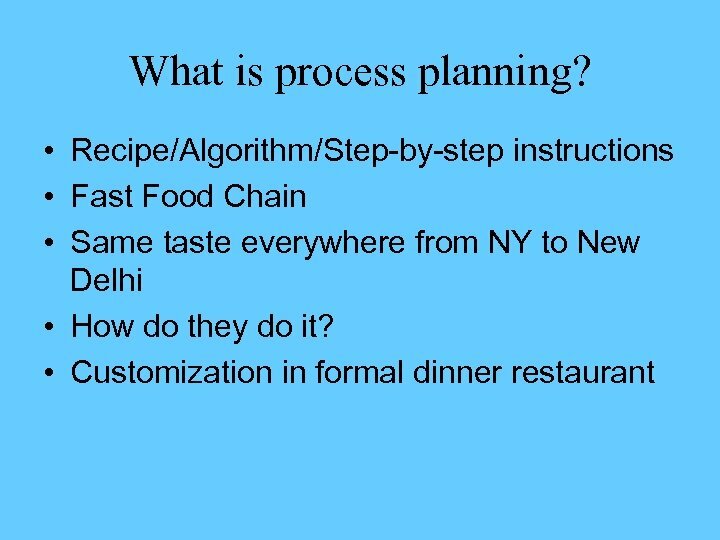 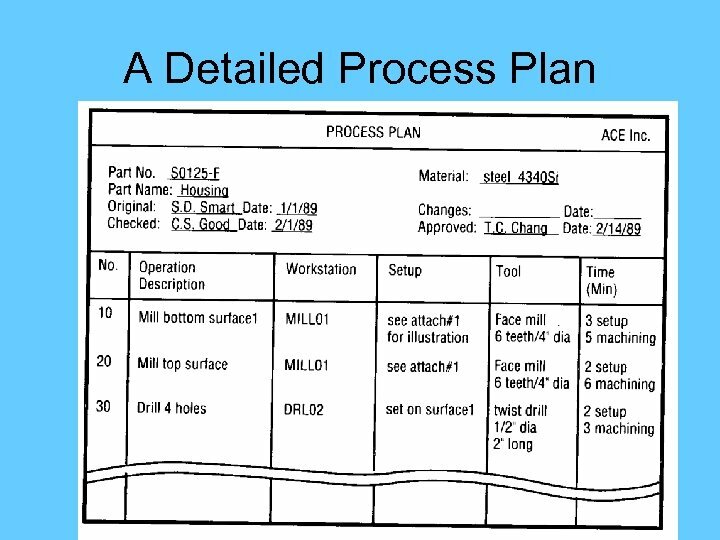 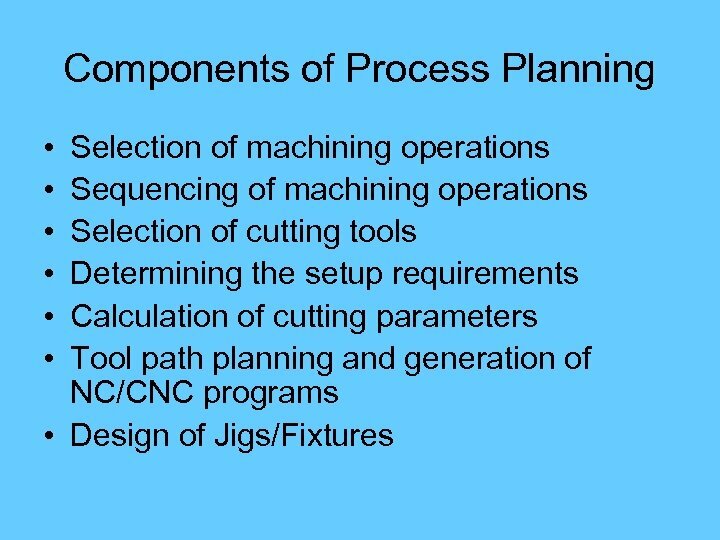 – Process planning is fairly trivial • Job-shop type manufacturing requires most detailed process planning – Design of tools, jigs, fixtures and manufacturing sequence are dictated directly by the process plan. 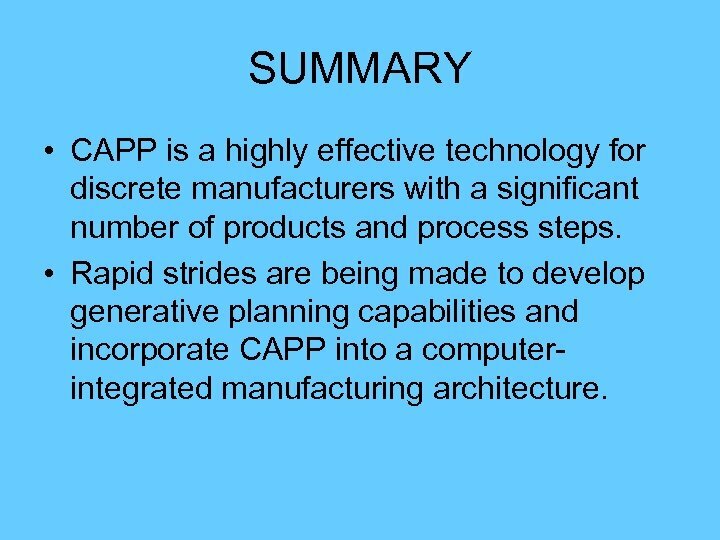 SUMMARY • CAPP is a highly effective technology for discrete manufacturers with a significant number of products and process steps. 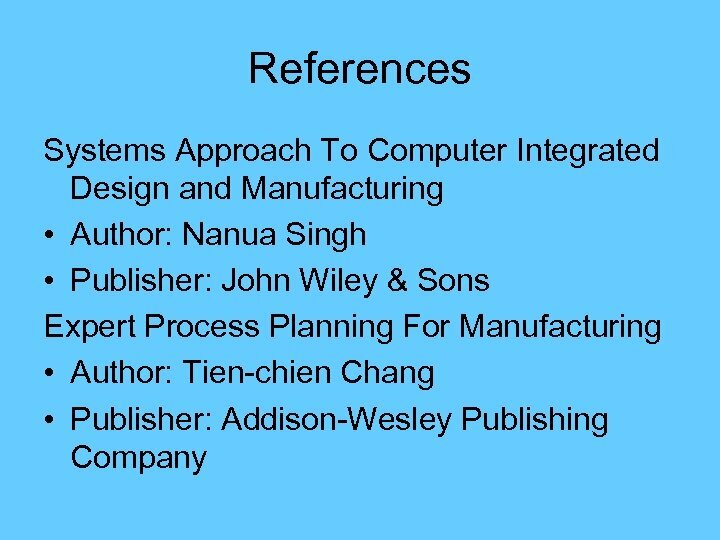 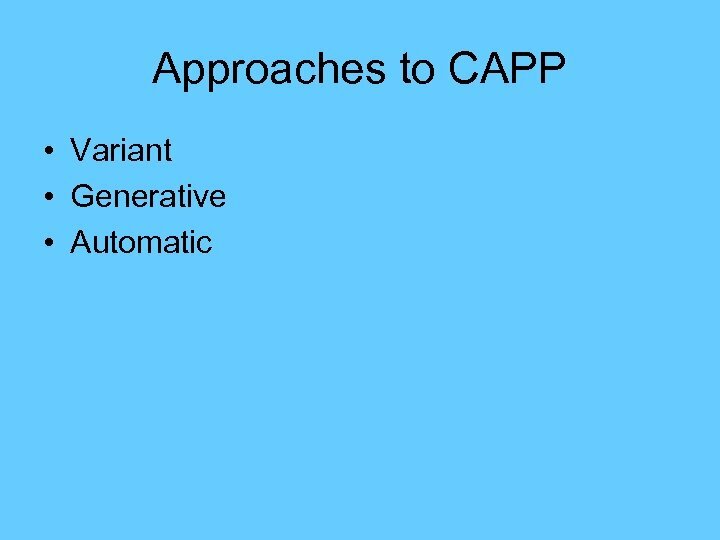 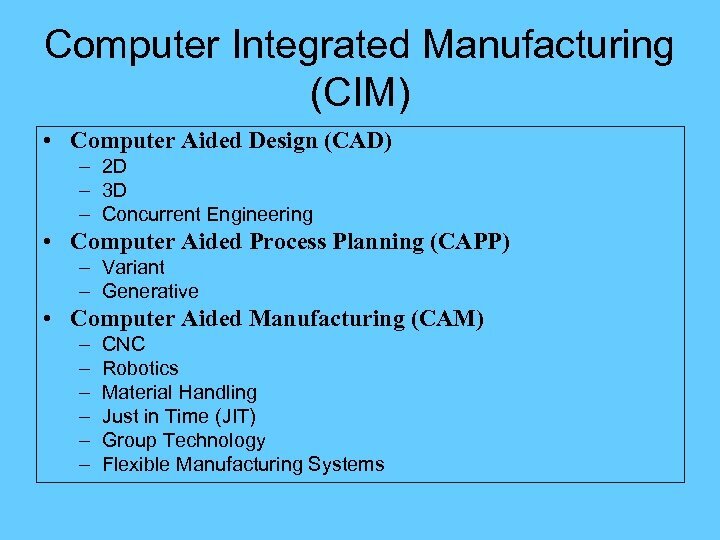 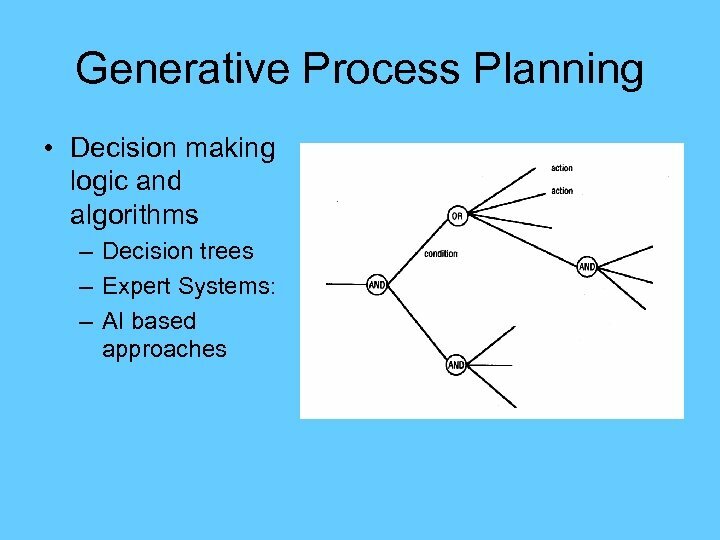 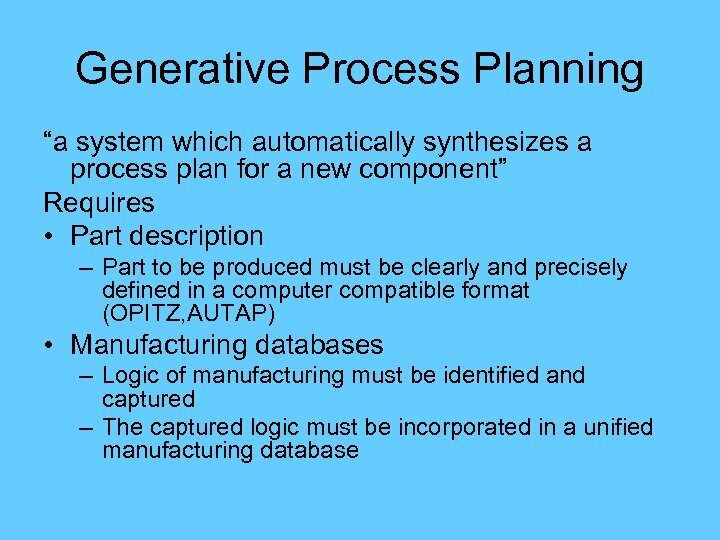 • Rapid strides are being made to develop generative planning capabilities and incorporate CAPP into a computerintegrated manufacturing architecture. 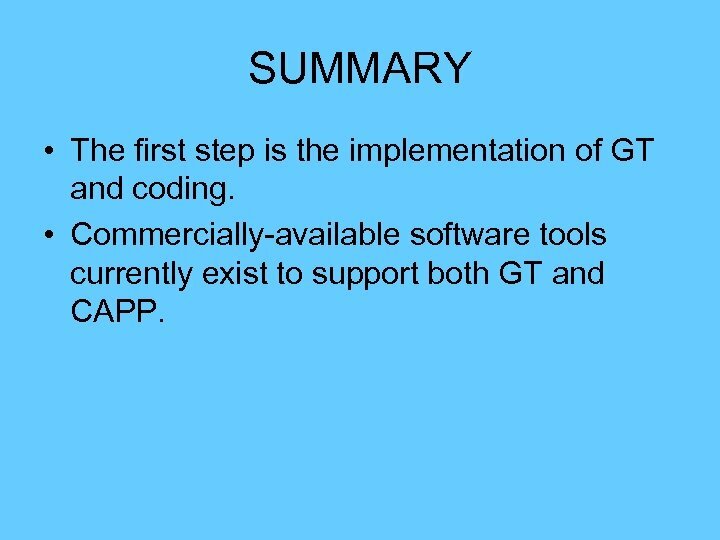 SUMMARY • The first step is the implementation of GT and coding. 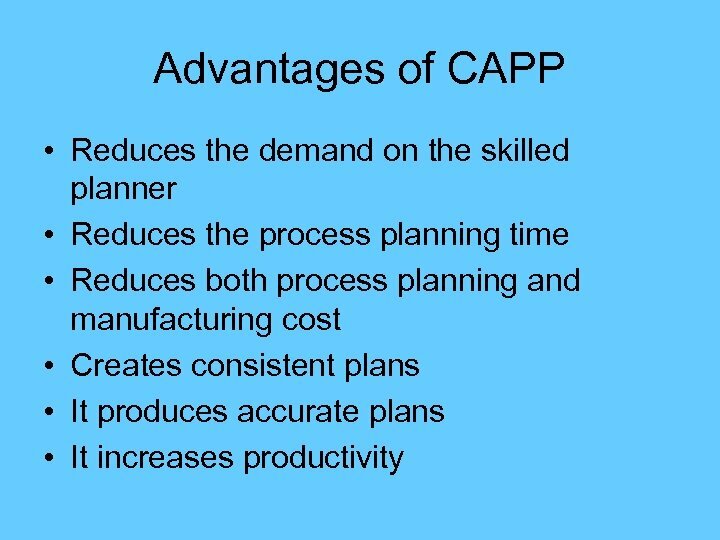 • Commercially-available software tools currently exist to support both GT and CAPP. 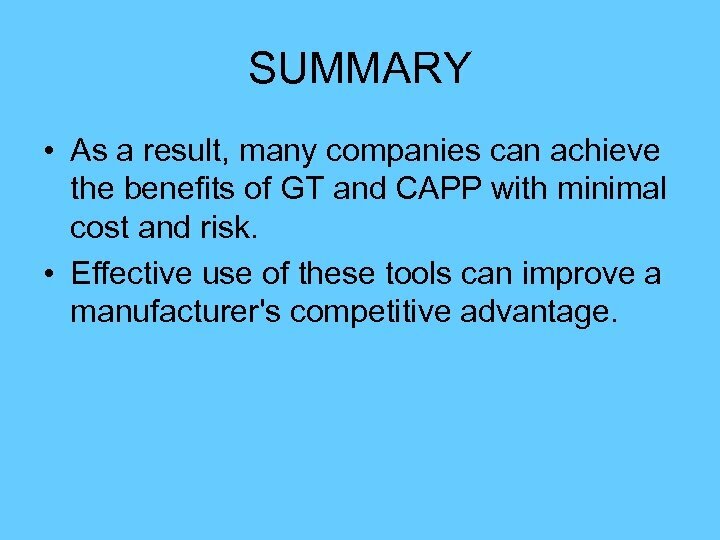 SUMMARY • As a result, many companies can achieve the benefits of GT and CAPP with minimal cost and risk. 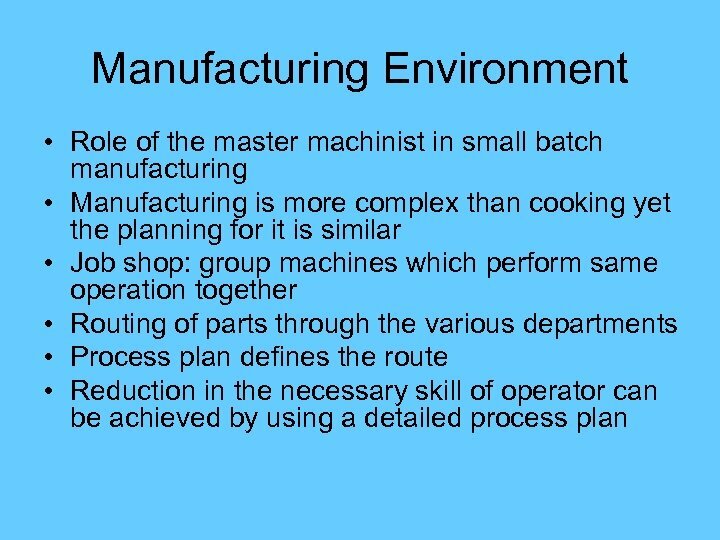 • Effective use of these tools can improve a manufacturer's competitive advantage.